The Army is battening down the hatches as Hurricane Florence dials in on the Eastern Seaboard. 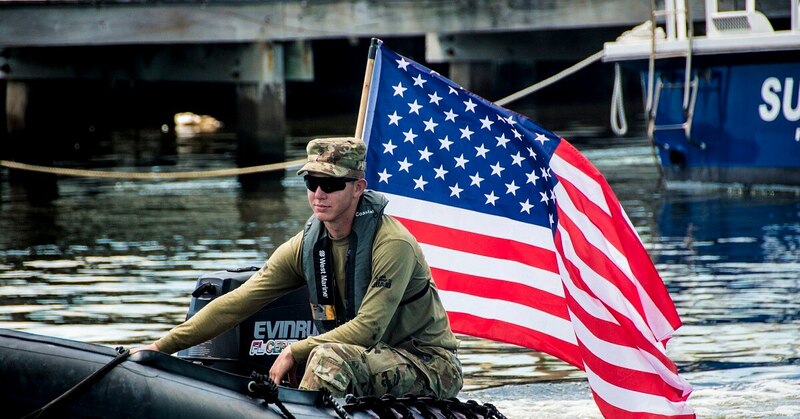 In addition to the usual National Guard call-ups to help with hurricane response and preparation, the active Army is staging supplies at major bases and canceling events that could add unnecessary traffic to the region. 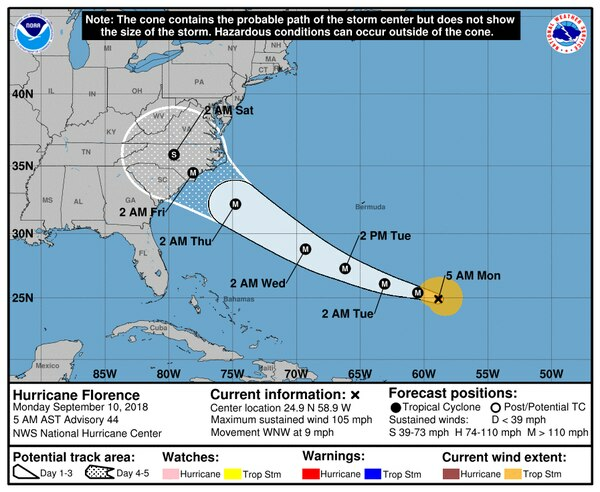 As of Tuesday afternoon, Hurricane Florence was expected to make landfall Thursday as a Category 4 hurricane along a wide swath of the eastern coastline. The areas with the greatest impacts are anticipated to be in South Carolina and North Carolina. As the provided hurricane relief, the members of the Kentucky Air National Guard’s 123rd Special Tactics Squadron learned to take full advantage of open-source information. Fort Jackson is heeding South Carolina Gov. Henry McMaster’s call for mandatory evacuation of eight coastal counties ahead of Florence’s landfall. 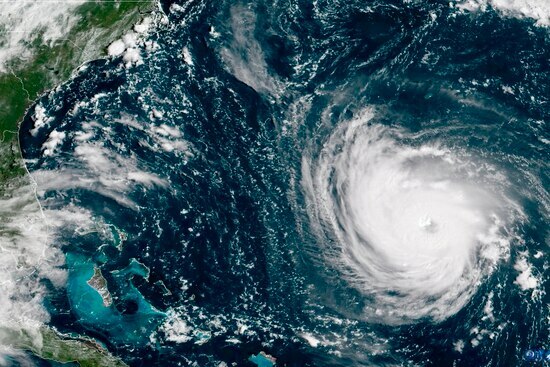 Leadership at the base has canceled Basic Combat Training Family Day activities scheduled for Wednesday and the graduation ceremony scheduled for Thursday to help prepare to receive military and civilian personnel and equipment being evacuated from the coast. “In order to not impede current evacuation plans in any way or add to the anticipated heavy evacuation traffic, Fort Jackson leadership is asking all families who planned to attend BCT graduation this week to cancel their travel plans immediately,” a statement from Fort Jackson’s public affairs office reads. The graduation ceremonies will not be rescheduled, the office said. In addition, DoD schools at Fort Jackson were closed Tuesday and will remain so through Friday. The South Carolina National Guard is also being activated. About 1,600 guardsman, to include soldiers and airmen, were called up to prepare in advance of Florence, according to a Guard press release. Fort Bragg is simultaneously preparing to take the brunt of Hurricane Florence and act as a staging area for relief supplies in its aftermath. On Monday, an Army spokesman said the emergency response agency began transporting meals, water and cots to Fort Bragg over the weekend. “At this time FEMA has about 100 tractor trailers staged here and more are in-bound,” Lt. Col. Christopher Ophardt said in an email. 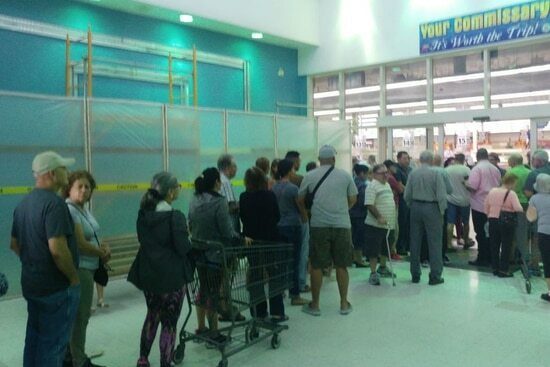 “FEMA will direct when and where they’ll go in order to put the supplies to the best use. Fort Bragg does not provide supplies nor assistance to the local communities on our own. This is a state’s responsibility." 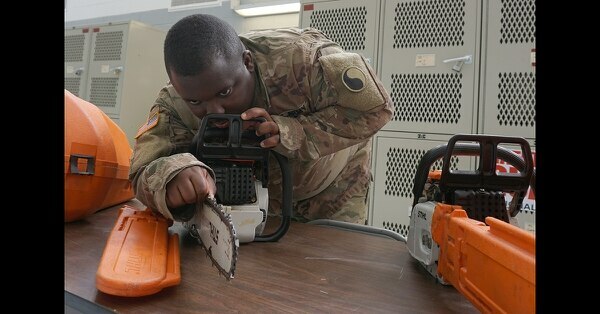 North Carolina National Guardsmen are also being prepared for activation across the state. “We here in North Carolina are bracing for a hard hit,” North Carolina Gov. Roy Cooper said during a press conference Monday. Two hundred North Carolina National Guard troops have been activated so far, Cooper said, and more are prepared to be called up. Maj. Matthew Boyle, a Guard spokesman, told the Fayetteville Observer that about 6,500 soldiers and airmen from the state Guard are on standby for storm duties. At this point, the hurricane will have minimal impact on Fort Bragg’s planned training, according to Ophardt. An 82nd Airborne Division spokesman told the Observer that the post is preparing to move more than 80 helicopters to Georgia ahead of the storm and is working to fill fuel and water tanks. “Commanders will continually assess our capabilities that may be impacted by the storm and adjust appropriately to remain ready,” Ophardt added. The Virginia National Guard is planning an initial call-up of 1,500 soldiers, airmen and members of the Virginia Defense Force on state active duty to assist with the state’s response operations for Hurricane Florence. Virginia Gov. Ralph Northam authorized up to 6,000 personnel for response operations, and those individuals are alerted and on standby, according to a press release from the Virginia National Guard Tuesday. “Potential missions for the VNG include high water transportation, debris reduction, commodity distribution, shelter management assistance and rotary wing aviation search and rescue,” the Guard press release reads. "The VNG plans to stage personnel at readiness centers in key locations throughout the commonwealth in order to be ready to rapidly respond if needed." The alert process to notify personnel who need to report for duty has already started. Members are scheduled to be in place by early afternoon on Wednesday. 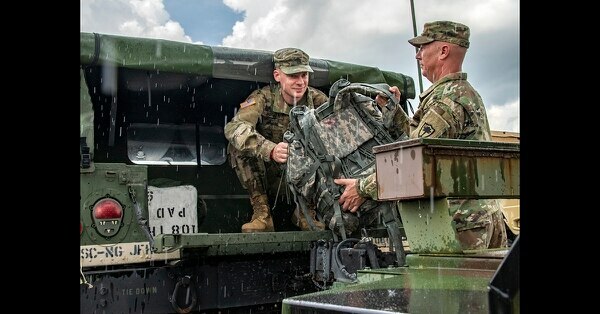 “The key to being able to rapidly respond is staging personnel and resources in strategic locations before the severe weather hits so they can quickly respond to assist communities if they are impacted by the severe weather from Hurricane Florence,” said Brig. Gen. James Ring, Virginia National Guard director of the joint the staff. Senior reporter Karen Jowers contributed to this report.